Are you wanting to update your bedroom ensemble but have been put off by price? Don't worry, at Bedworks we have a great autumn sale on NOW on selected mattress and base combinations from our best-selling pocket spring ranges. It's simple - buy the mattress in your chosen size in our combo sale and your SleepEezee Ensemble Bed Base is included! Choose from our selected mattress ranges below and decide on you new bedroom decor today. All Our Mattress + Base Deals Are Five-star Verified Customer Reviewed Products. 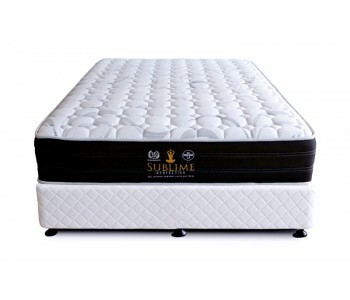 Want the most comfortable night's sleep on a foam and spring mattress? The Comfort Plus mattress is right for you. With a divine mix of pocket springs and memory foam, this medium plush mattress was made to deliver you a restful and rejuvenating night's sleep. The memory foam provides even support for your body by distributing your weight across the surface of the mattress, making for a better night’s sleep. Pocket springs reduce partner disturbance and allow for greater independent comfort, so you and your partner can sleep equally in comfort. If you are after the best night's sleep that a heavy-duty spring mattress provides but in a lighter stitched foam option, try the Comfort Zone Memory Foam Pillow Top mattress. It delivers high-quality support and construction at a reasonable price. This mattress provides optimum comfort for the sleeper, plus it has proven durability and easy cushioning on your posture. 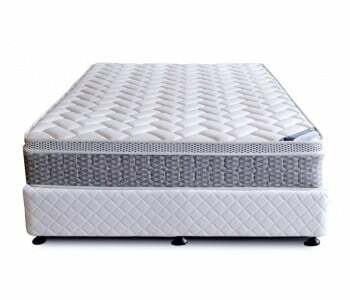 Available in single, king single, double and queen sizes, traditional Bonnell spring construction is combined with layers of quality memory foam and standard foam (fabric patterns may vary). 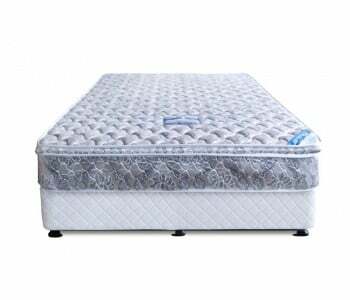 The mattress is finished with quality edge-to-edge cushioning and rolled stitching meaning that right across the sleeping space you remain supported. The spring construction is encased by quilted polyester fibre, bamboo and anti-slip fabric. This memory foam pillow mattress is suitable for either slat or base beds and comes with a 5-year manufacturer warranty. 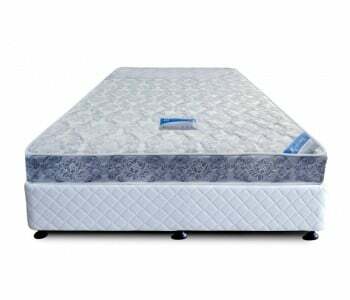 The OP Deluxe Pillow Top mattress is a pillow top spring mattress designed to give you plentiful slumber. Made with Bonnell spring construction and using high density foam as the pillow top to give a thickness of 22cm, it's a comfortable and durable option for your base or ensemble bed. This mattress balances your body and keeps it well supported, releasing built-up tension in muscles and joints and allowing for a comfortable night’s rest. Covered by quality polyester fabric, the OP Deluxe not only feels good but to top it all off, it looks good too! Available in the full range of standard sizes, it comes with a 2-year warranty. The Sublime Perfection Pocket Spring mattress is a fine investment for comfortable, long-lasting body support every night. This medium-strength mattress brings together the benefits of both memory foam and pocket spring support for a perfect sleeping experience with minimal partner disturbance. Created with your comfort in mind and to provide long-lasting quality and comfortable rest, it uses gel-infused memory foam in construction to keep you cool and well rested. Available only in queen, this mattress comes with a 10-year manufacturer's warranty and is available for next-day delivery in Sydney metro and CBD areas. Our economy bed range - including the City Medium Soft Pocket Spring Mattress - is designed to give you a great sleeping experience by combining plush comfort with excellent lateral support. This economical mattress has multiple layers to provide you with customised support. 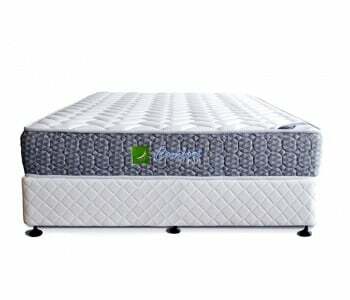 The mattress features a quilted pillow top comprised of a breathable wave foam layer and a comfort foam layer. The pillow top helps relieve tension as it contours to your back, hips and shoulders. Next to the pillow top is a layer of support foam and thick pocket springs so you get the right sleeping support consistently. The layers are separated by isolated cotton pad layers for breathable heat dissipation. Enjoy a cooler sleeping experience as this mattress promotes air circulation and ventilation, inhibiting the growth of bacteria and fungi. Based on pocket spring technology, this mattress contours to your body shape to give your spine the right lateral comfort. Pocket springs reduce partner disturbance as they absorb movement directly underneath the sleeper. The City range also comes with a 2-year warranty and is available in the standard range of sizes. Using innovative technologies and premium materials to create a customised and comfortable sleeping experience, the Felix Memory Foam mattress is designed with your comfort in mind. This mattress adapts to your needs with multiple support layers by providing natural posture support and pressure relief and keeping you cool and comfortable. It arrives as a 'bed in a box', so you can assemble it easily. Available in a range of sizes, the Felix comes with a 10-yr warranty and is available for next-day delivery. Why not call our sales team today to see if your preferred mattress + base combo is in stock and ready for delivery?